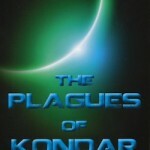 It is amazing how many common themes run through even the most disparate books. The selection reviewed by the Jewish Independent this year includes both picture books and novels for teens; the topics range from genocide and oppression, to a grandmother dying and a family getting a dog; the stories take place in fictional worlds and all too real places. Yet, the vast majority of lessons or values imparted are the same. The importance of family, friendship, resilience, responsibility, creativity, compassion, caring for those less fortunate or more vulnerable, accepting the reality of death – all make an appearance in the books that follow. 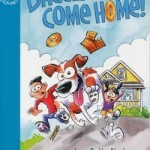 From the wonderfully imaginative mind of Joan Betty Stuchner, who sadly passed away earlier this year, Bagels Come Home (Orca Echoes, 2014) is the story of Bagels, a behavior-challenged but friendly dog that the Bernsteins adopt from a shelter. He joins the family’s goldfish, Lox, and their cat, Creamcheese. However, when it proves almost impossible to train him, 8-year-old Josh (who suggested getting a dog in the first place) and his 5-year-old sister Becky must work together (keenly on her part, not so much on his) to keep their parents from returning Bagels. The black and white illustrations by Dave Whamond complement the jovial energy and mood of Stuchner’s tale. 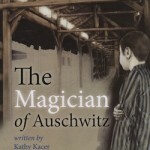 The Magician of Auschwitz (Second Story Press, 2014) by Kathy Kacer is also based on a true story. 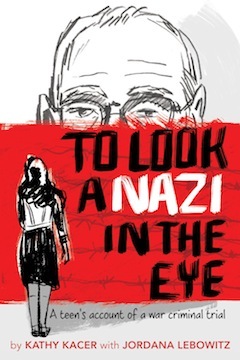 During the Holocaust, young Werner – whose father died years ago, whose older sister went into hiding with a Christian family two years earlier and who last saw his mother at the police station where he was held before being sent to the concentration camp – is fortunate to meet Herr Levin, whose wife and son are also in the camp, “somewhere.” A gentle soul, Levin treats Werner with kindness so, when Levin is awakened one night, Werner is afraid he may lose his only friend. However, the guards order Levin: “Do your magic!” And he does. Levin’s magic not only saves his life, but Werner’s – a gift Werner never forgets. The illustrations by Gillian Newland are in dark, rich tones, appropriate for the subject matter, and brightening for the image of an elder Werner teaching his sons the card trick Levin taught him. The book includes a section about the real-life Werner and Levin (the Great Nivelli). 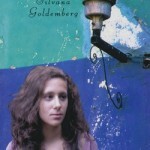 Silvana Goldemberg’s Victoria (Turnaround, 2013) is translated from the Spanish by Emilie Smith. Victoria’s title character and her younger twin brothers live with their aunt until the aunt’s boyfriend attempts to sexually assault the 14-year-old. Victoria flees to the streets of Paraná, Argentina, where she must fend for herself among drug dealers and other dangers. Taking control, and keeping to her personal values, Victoria works hard, makes new friends and builds a life that promises better things for her and her brothers. 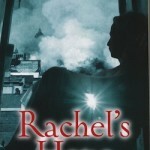 Building a new life is also central to Rachel’s Hope (Second Story Press, 2014), the third in Shelly Sanders’ Rachel trilogy. We first met Rachel at age 14, in Kishinev, Russia. Her dreams of being a writer are put on hold, as the murder of a Christian man leads to pogroms and chaos, beginning Easter Sunday 1903; however, among all the bad, she is helped by Sergei, a non-Jewish boy. The unrest in Russia continues and the next time we meet Rachel, her father has been killed and she and the rest of her family flee to Shanghai, where they save money for a ship to America; Sergei remains in Russia, becoming a factory worker, but the horrid conditions lead him to join the rebellions. Rachel’s Hope begins in winter 1905: Rachel, her sister and brother-in-law, and their young charge, Menahem, have made it to San Francisco (her mother dies in Shanghai); Sergei is still in Russia, part of the revolutionaries. 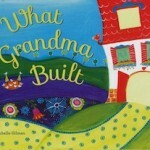 This part of the trilogy introduces readers to the many challenges immigrants face when coming to a new country, encountering a new language, a new culture. But, as hard as life may be in the United States, as unequal as women’s or immigrants’ rights may be, as hard as it is to recover from a natural disaster (the 1906 earthquake in San Francisco), the comparison with Russia at that point in its history is stark. The devastating effects of violent oppression last well beyond the attainment of freedom.